Manufacturer & Exporter of Grey PVC Coated Aluminum and GI Sheets. Our product range also comprises of PVC Laminated GI Sheets, PVC Laminated Aluminium Sheets and PVC Coated Aluminum and GI Sheets. Keeping in sync with the ongoing fashion trends, we are engaged in offering a vast collection of Grey PVC Coated Aluminum and GI Sheets that is available in various sizes and patterns as per the different requirements of our valued clients. Offered sheet is designed from premium quality materials using the latest technology and also properly checked against numerous quality parameters by quality controllers. Besides, we provide these sheets in excellent packaging material at most reasonable market rates within promised period of time. 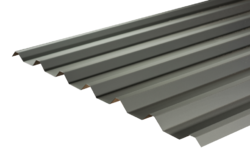 Looking for Grey PVC Coated Aluminum and GI Sheets ?